Usain Bolt has been offered a contract by A-League club Central Coast Mariners, the Jamaican's management team have confirmed. The former athletics star has been training with the Australian club since August and scored twice in a pre-season match this month. The eight-time Olympic champion then rejected an offer to join Maltese champions Valetta despite uncertainty over whether the Mariners would try to sign him. On Sunday, it was reported Bolt's representatives had been sent a proposed contract by Mariners chief executive Shaun Mielekamp in recent days. When contacted by Omnisport, Bolt's management confirmed a deal had been offered, although they declined to specify the details. Mielekamp was asked shortly before the Mariners' A-League opener with Brisbane Roar on Sunday and replied, according to The Australian: "I can't comment… and I want to concentrate on the game." Bolt has never made a secret of his desire for a career in football after he retired from athletics following the 2017 World Championships in London. 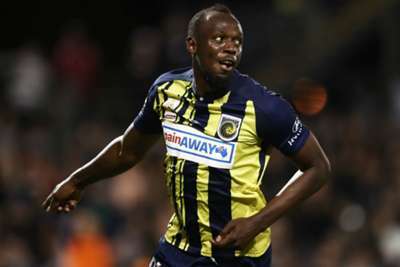 Former Australia head coach Ange Postecoglou thinks the Mariners have benefited from increased global coverage in recent weeks, but he does not believe Bolt, now 32, would be a wise signing. "It seems to have got some good attention for Central Coast Mariners," Postecoglou told the media in Japan. "But beyond that, I've always believed that football is one of those sports that's very, very difficult to just change from one to the other. "If you haven't done it from a very small age and hone your technique and skills, [it's] very, very difficult at a later age to switch to our sport and play at the highest level."